I saw a post on hackaday about 4-mation and I decided to try and create my own device. Of course the "flashing bars" don't appear in real life. 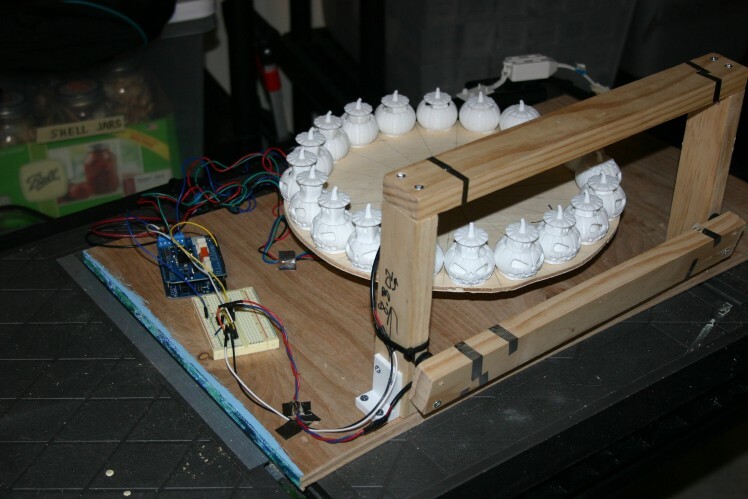 An Arduino with a motor shield is used to control a bipolar stepper motor and led light strings. The twelve inch diameter turntable rotates at about 60 rpm (one revolution per second). 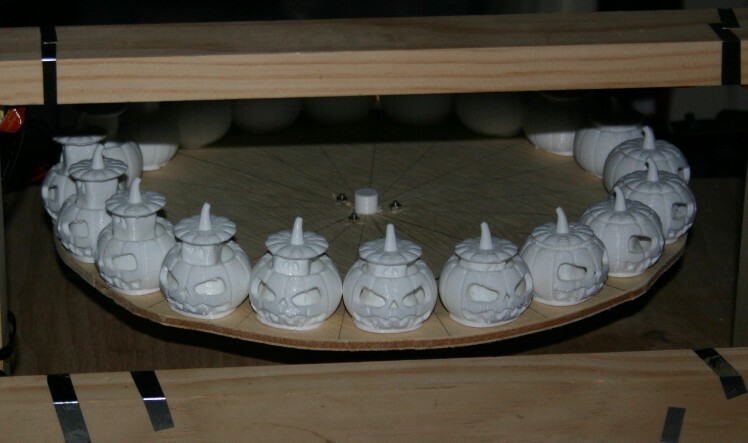 The turntable is divided into 20 sections and a ghost/pumpkin is placed on each section. The led's are "flashed" every 1/20 of a second to provide the illusion of movement. 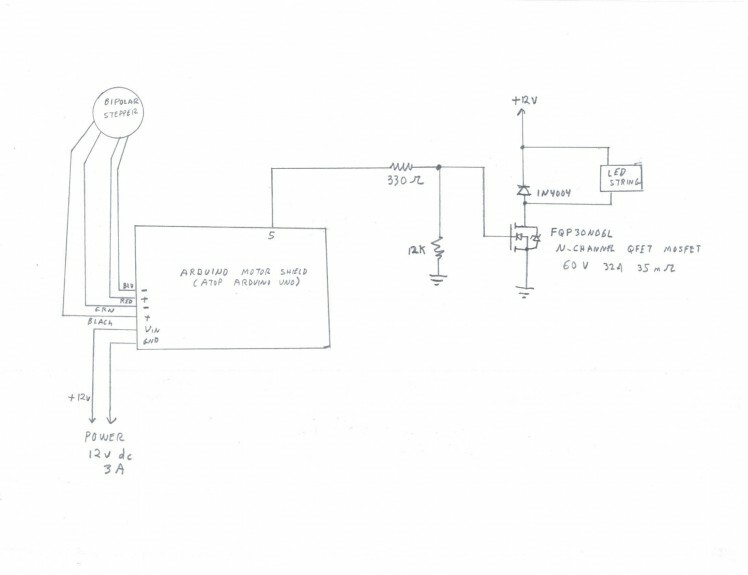 Wire according to this schematic. Install the sketch (included in the files on hackaday.io). Print two each of ghosts 3 through 9. Print three of ghosts 2 and 10. Arrange them in order on the wheel. The pumpkin part of the ghost/pumpkin came from Makie's Jack-O-Lantern on thingiverse. Plug it in (in a somewhat dark room) and watch the magic of animation. I am an author and electrical engineer.